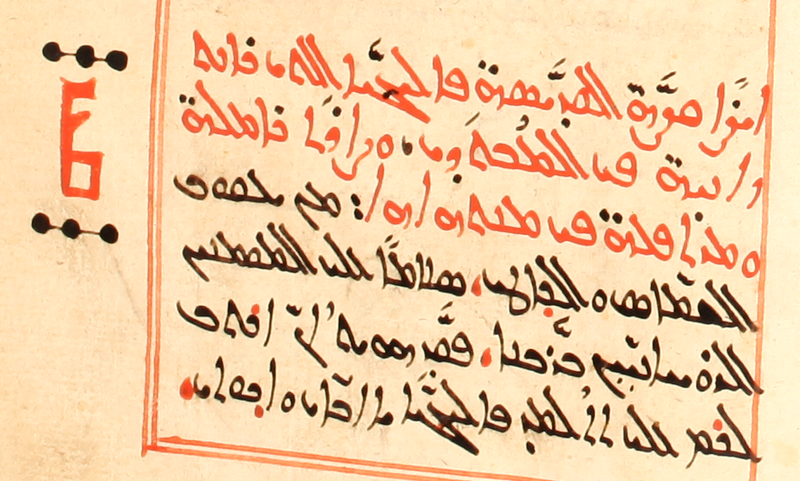 The first Garšūnī manuscript that I remember studying closely is SMMJ 199, a huge manuscript copied in 1733-1734 and now divided into two parts due to its size. 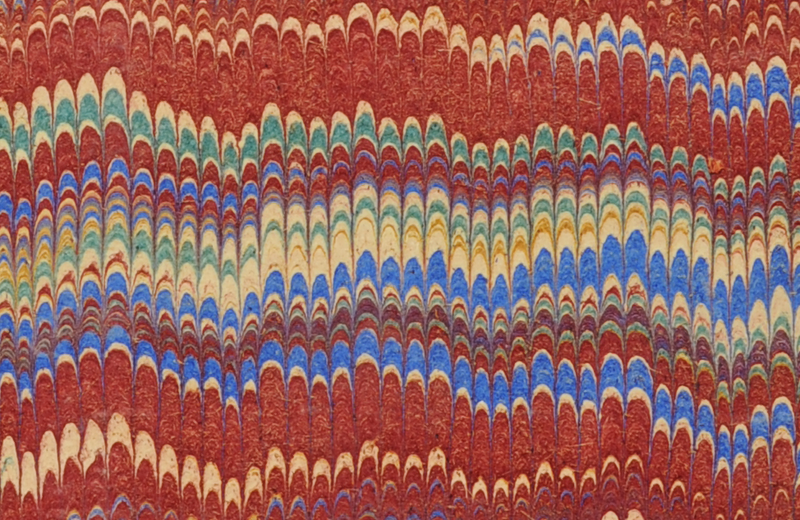 Altogether, it is 750 folios long, with 90 distinct longer or shorter hagiographic pieces. Fortunately the colophon has also survived. 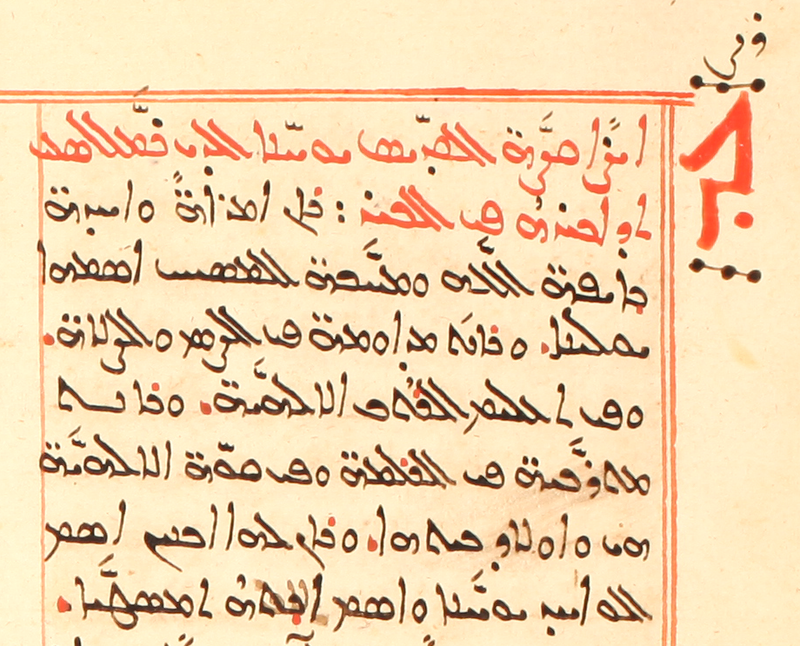 This colophon, with a few Syriac elements, but mostly in Garšūnī and Arabic, tells us not only the completion date, but the beginning date, where it was copied (and translated), and about its textual basis. 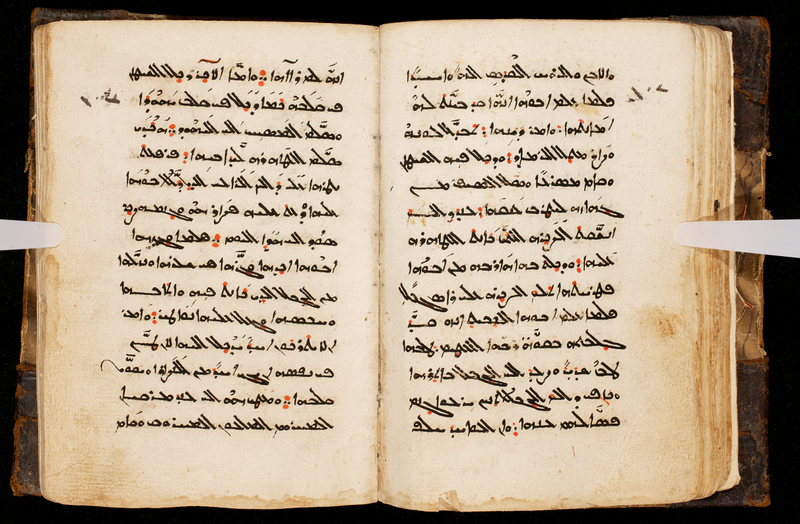 It was copied and translated at Dayr al-Zaʿfarān from a Syriac manuscript dated 1490 AG (= 1178/9 CE) “into the Garšūnī language” by the scribe of this manuscript himself, Bišāra of Aleppo. 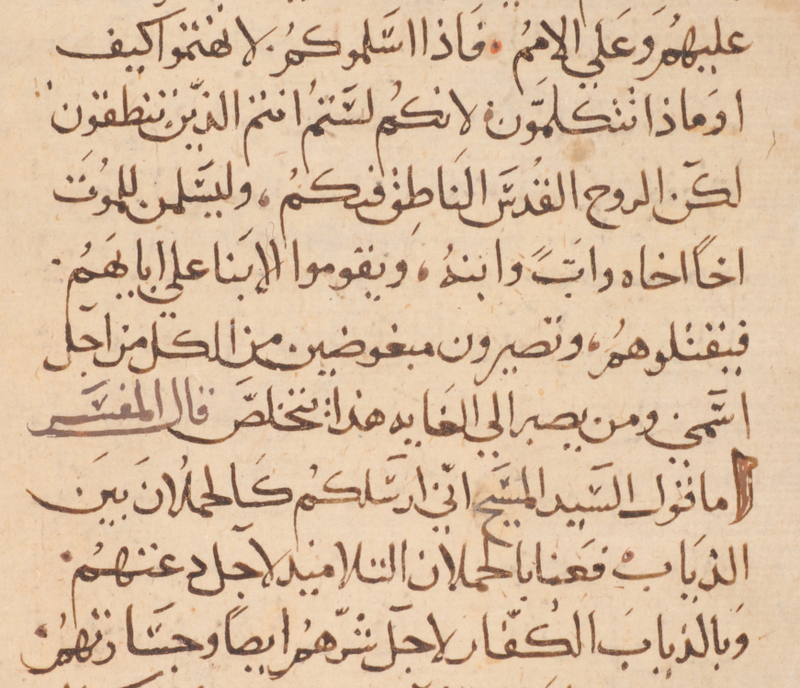 Among the later notes to the manuscript is one on f. 367v by Yulius, Metr. 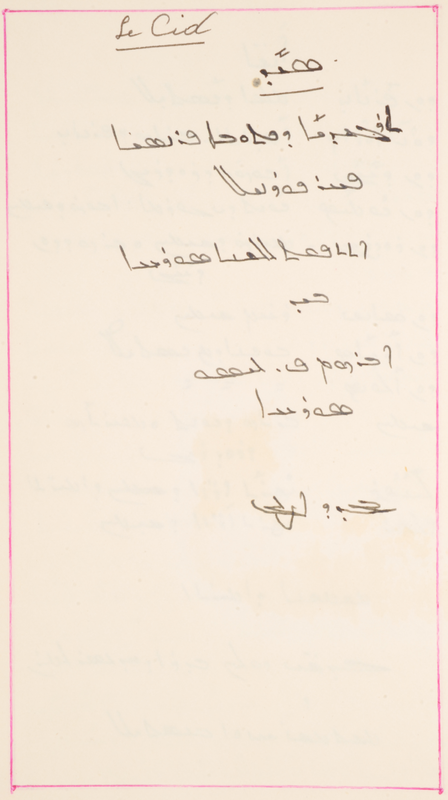 of Malabar dated 1933. 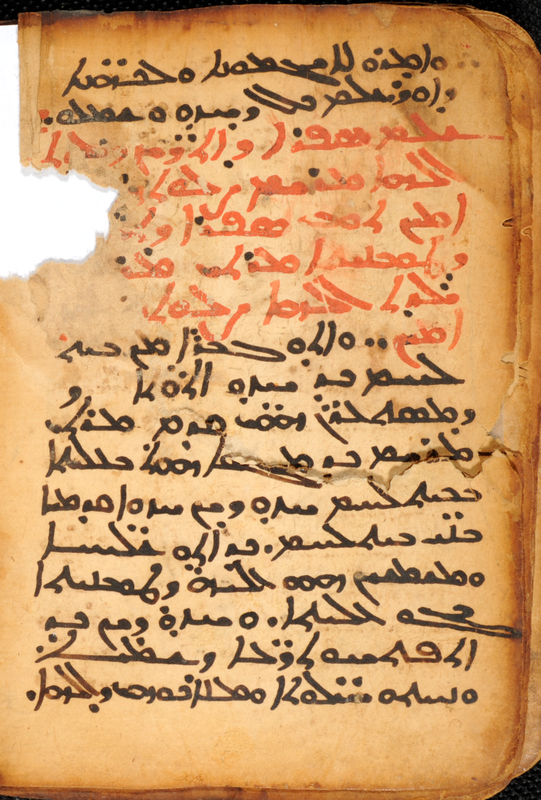 According to notes on f. 751 of SMMJ 199 B, the manuscript was purchased in Aleppo and donated to Saint Mark’s in 1874. William Macomber’s catalog of the manuscript for the BYU microfilm project is available here, and the earlier record by Graf is in Oriens Christianus n.s. 3 (1913): 311-327. I am finishing up the new record of the manuscript for HMML’s own catalog now, but here is an alphabetical index that I made some time ago (also in PDF here: SMMJ_199_index). 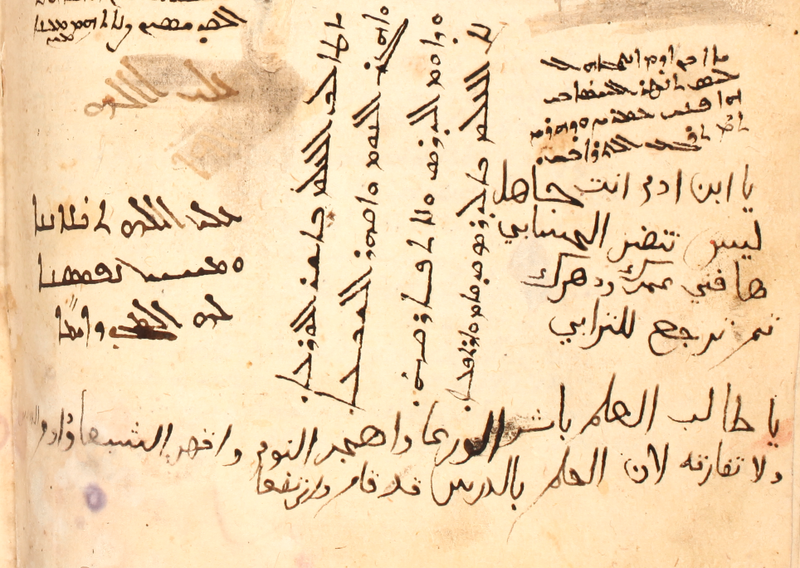 A few more images from the manuscript follow the index. Example of the mise en page. 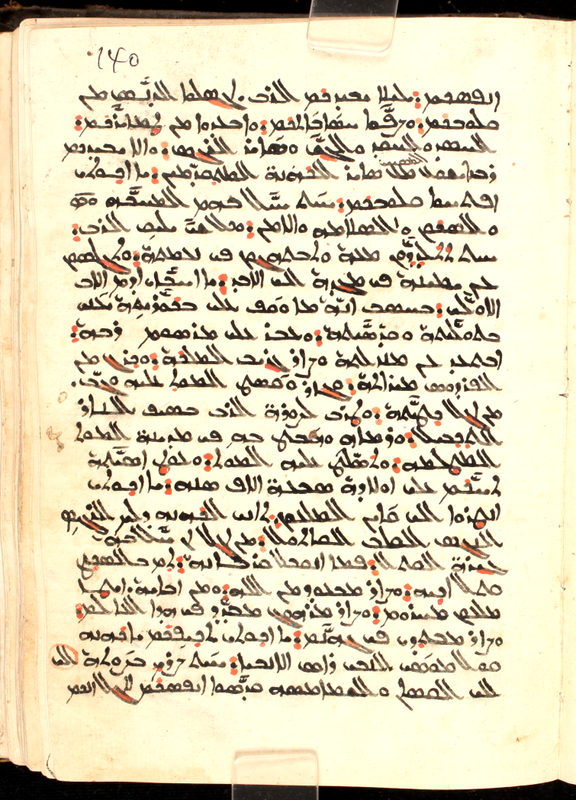 SMMJ 199A, f. 52r. Scribal note on Mar Malkē. 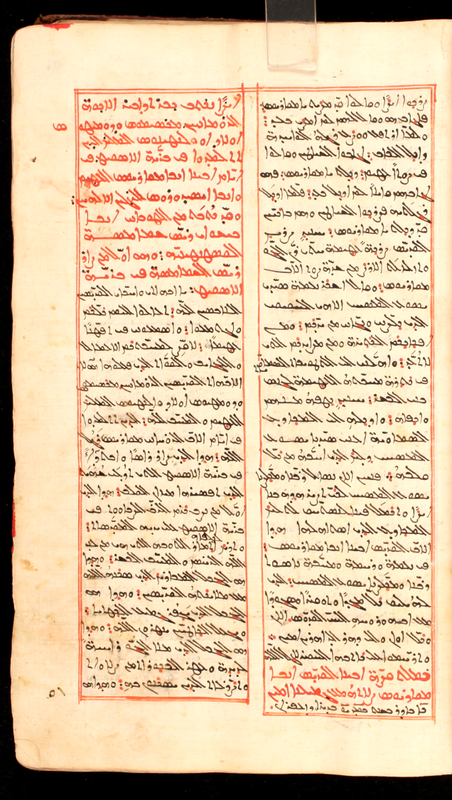 SMMJ 199A, f. 349v. In the colophon to SMMJ 187, ff. 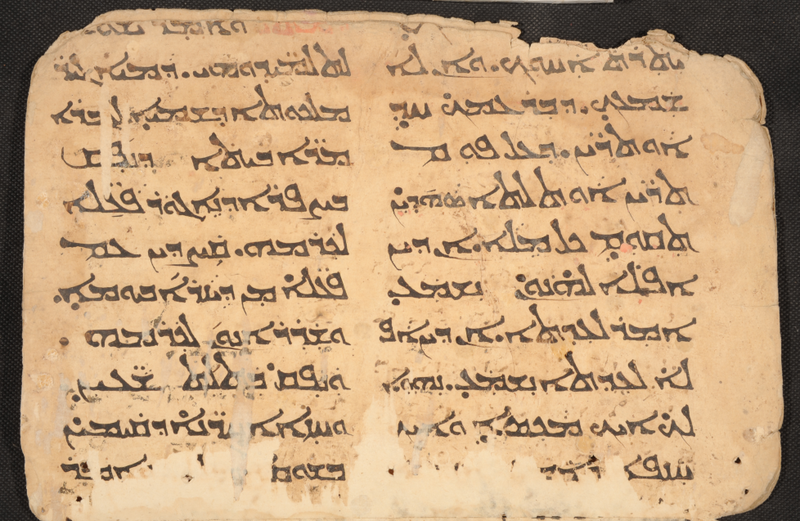 388v-389r — this part of the manuscript was originally earlier in this codex, but it has been partly split up and rebound — the scribe has recorded a little about the tradition of Saint Mark’s Monastery. (The ms is № 21* in the catalog of Baumstark et al.) Students of Arabic and/or Garšūnī might appreciate it as a reading exercise, and for others, a tentative English translation is given below. 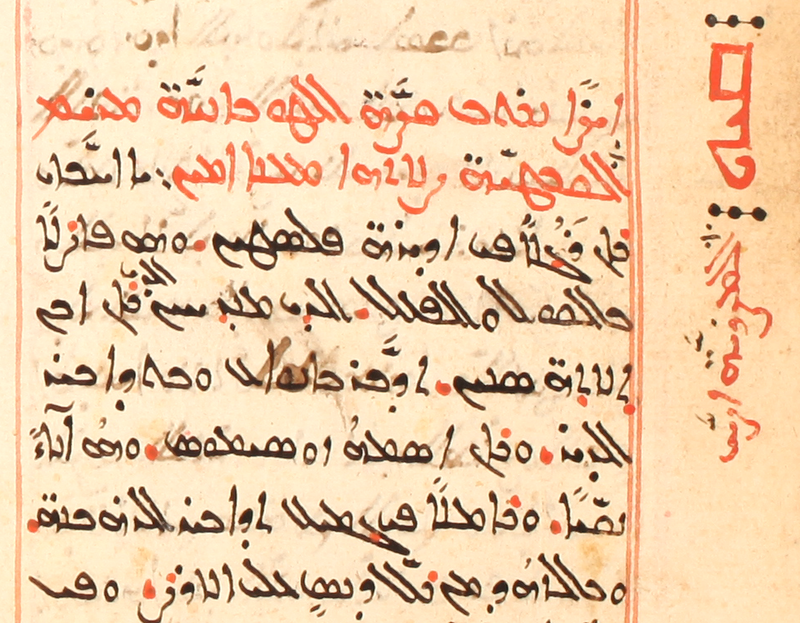 For further information on the monastery, one can start with the entry on it in GEDSH, 269-270, by G.A. Kiraz. 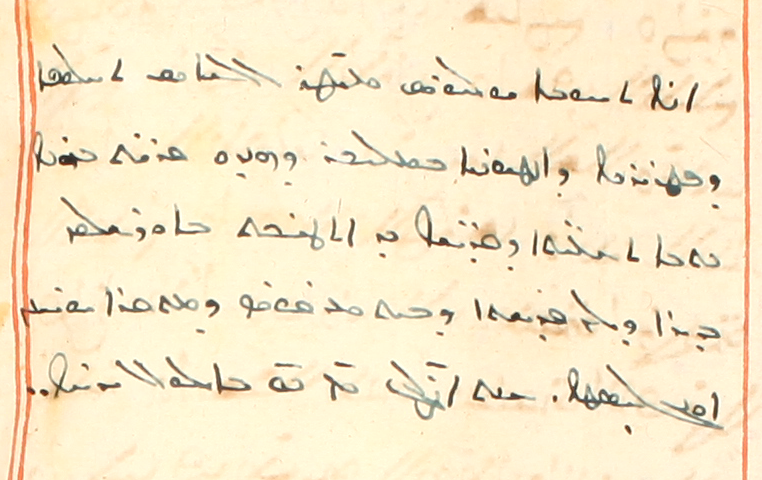 At the end of one of the texts in SMMJ 183, which contains theological and hagiographic writings in Garšūnī, some later reader (or readers?) 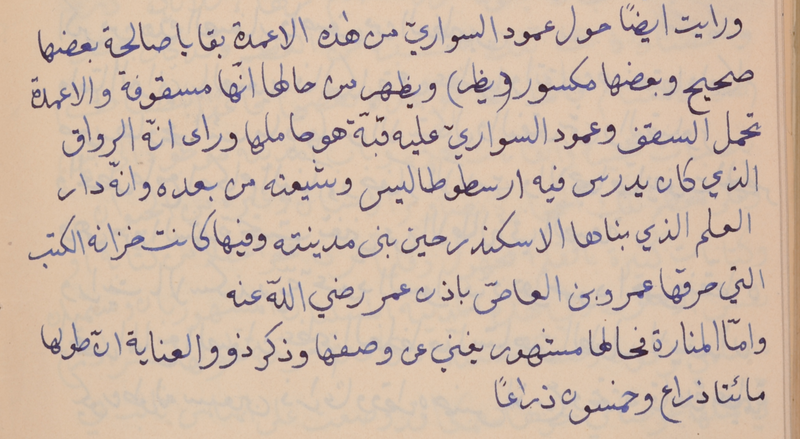 — the handwriting does not seem to be the same as the scribe’s — has recorded some intended wisdom. 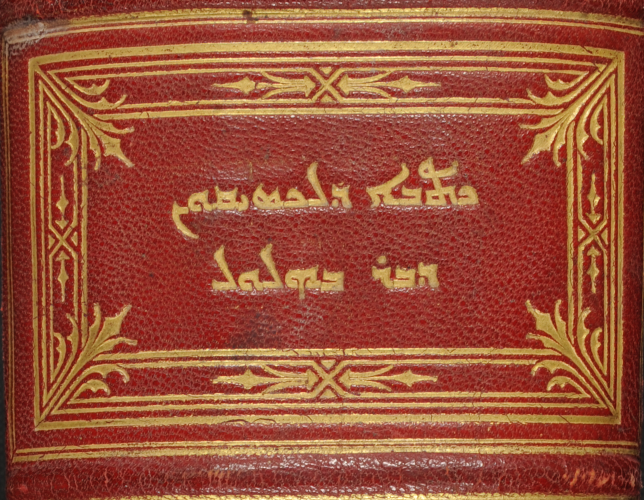 The two four-line sayings are in Arabic, but written in both Syriac and Arabic script. This is not the prettiest handwriting, and the spelling might not be what is expected, but the meaning of both is relatively clear. (For the long vowels at line-end, cf. Wright, Grammar, vol. 2, § 224.) 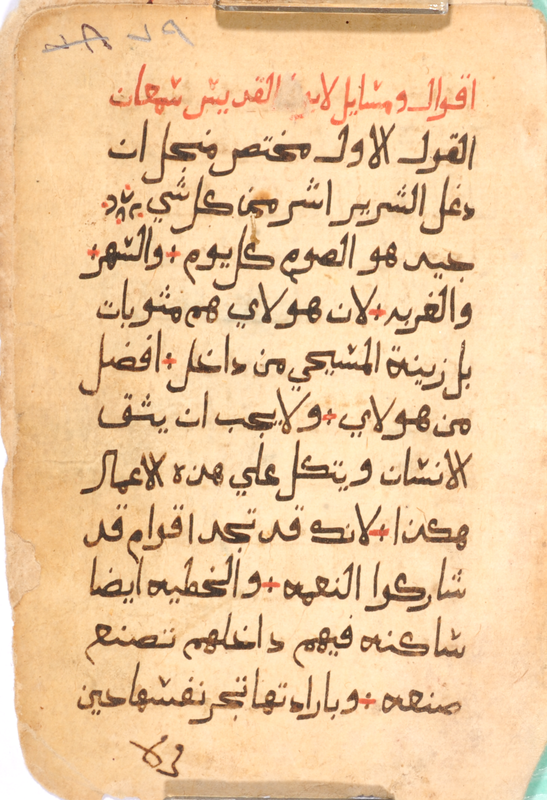 The sideways text in the center has its Arabic-script version is on the bottom. For knowledge consists and grows in study. 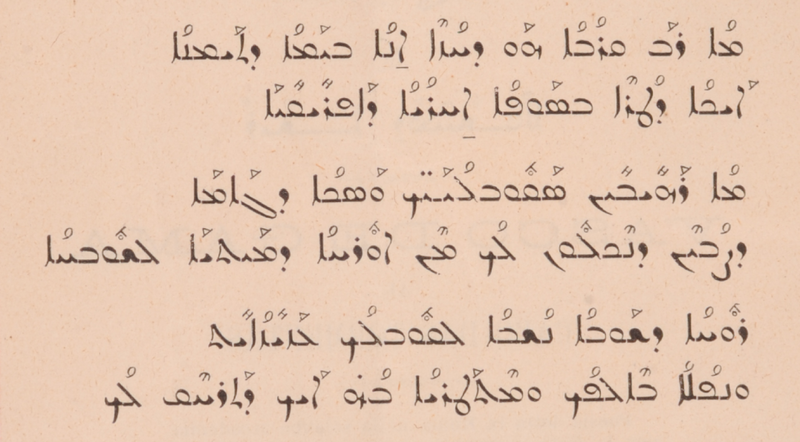 On the right we have four more lines in Garšūnī, with its Arabic-script version immediately below. O child of Adam! You are ignorant! Look! Your life and your time have vanished. Now you shall return to dust. 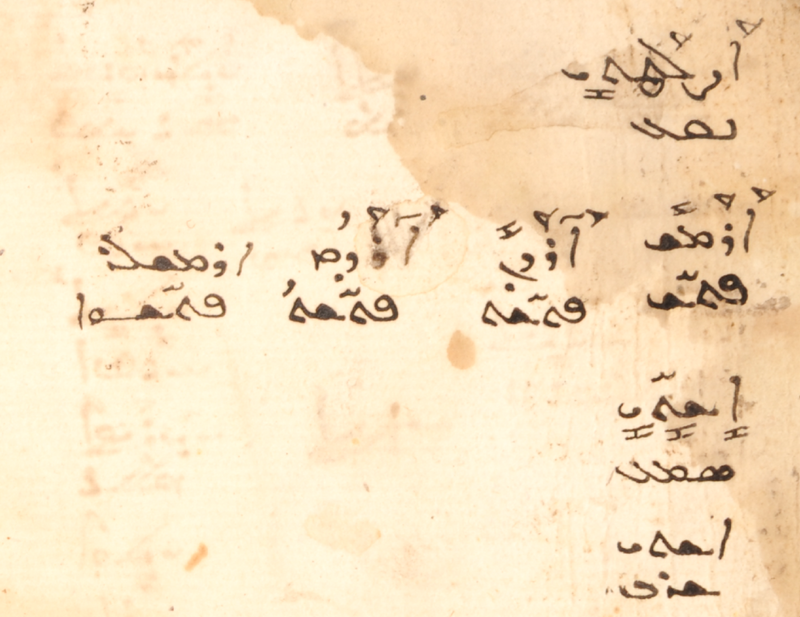 In line 2, al-ḥisābi (written –ī) must be genitive with the foregoing V maṣdar, tanaẓẓur; the latter word is written with ḍ in the Arabic text, but a derivative of “to blossom” doesn’t make much sense, and the Garšūnī writing of ṭ, even without a dot, is known well for ẓ. 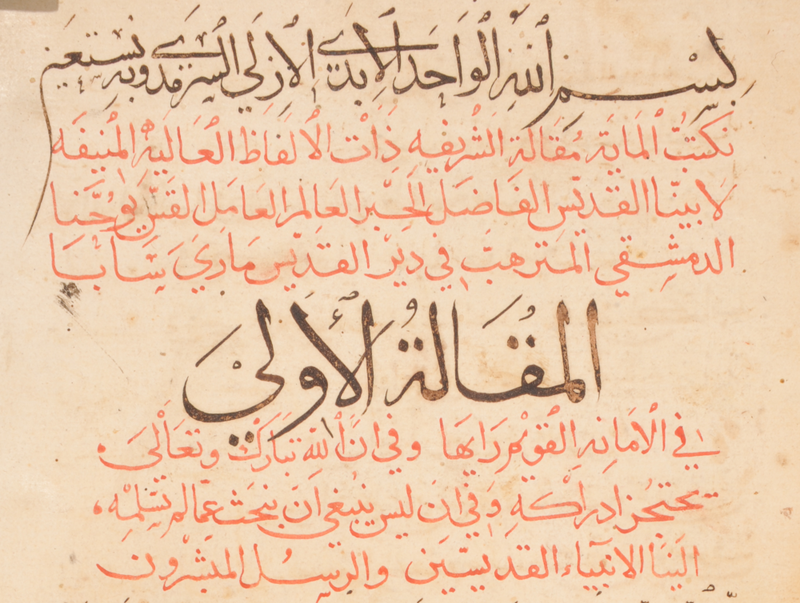 In the last word of these lines, the Garšūnī version lacks the preposition l-, but it’s present in the Arabic version and is needed for the sense in any case. Christian scribes typically trumpet their sinfulness, and there is no shortage of creative self-deprecation. 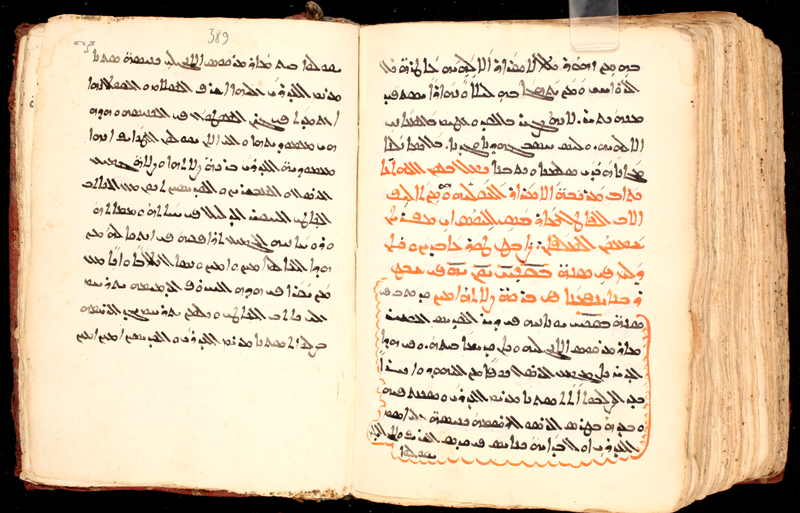 In a colophon to a text in SMMJ 170 (also mentioned in the previous post) the scribe asks colorfully for prayer from his reader with memorable imagery. Ended are the Parables of Josippos the Sage with God’s help: his mercy be on us all, Amen. Reader! Do not delay the sinful scribe from your prayer, for God’s sake, because I am sinking in the sea of sin, and may he grant your soul peace a thousandfold. This is in the year 1907 [AG], the 23rd day of Tammuz. 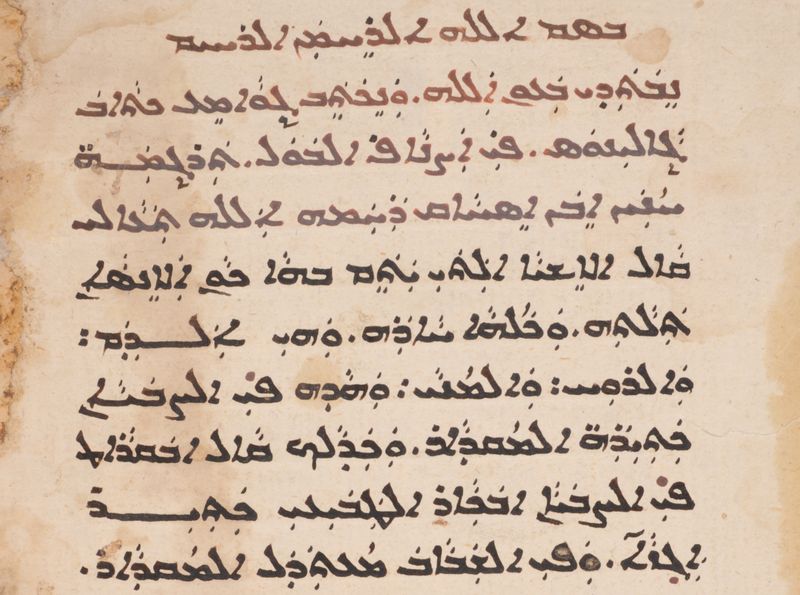 The text that ends here contains sixty-two parables (amṯāl) with explanation, presented as a dialogue between “Josippos” and King Nebuchadnezzar. 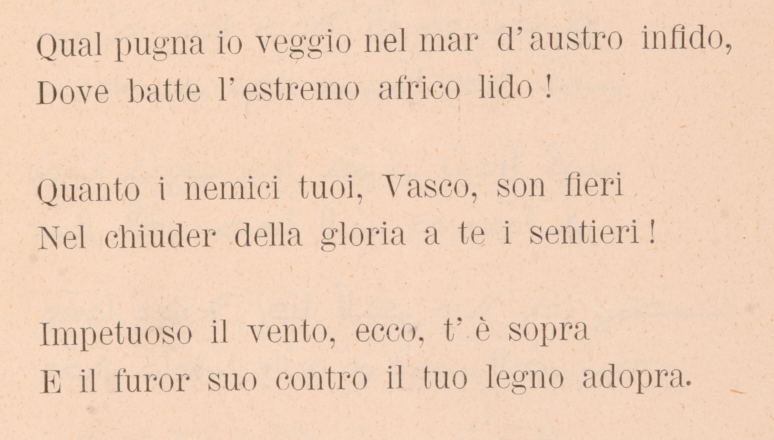 Any other examples of sea-imagery (cf. Ps 69:1-2), with sin and otherwise? Feel free to mention them in the comments. 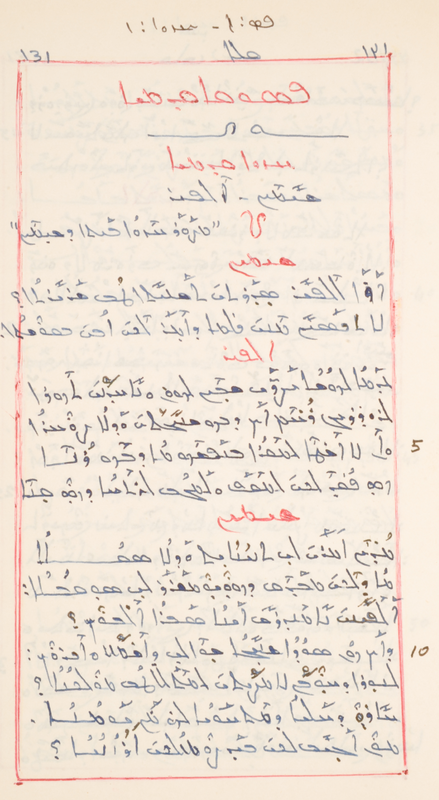 I was glad to see that a Syriac version of the letter might be available, but when I went to check it (only in the Woodbrooke vol., BJRL not being available to me), it was immediately apparent that Mingana published a Garšūnī text, not Syriac. So there in CPG 1030 we should read arabice, not syriace! 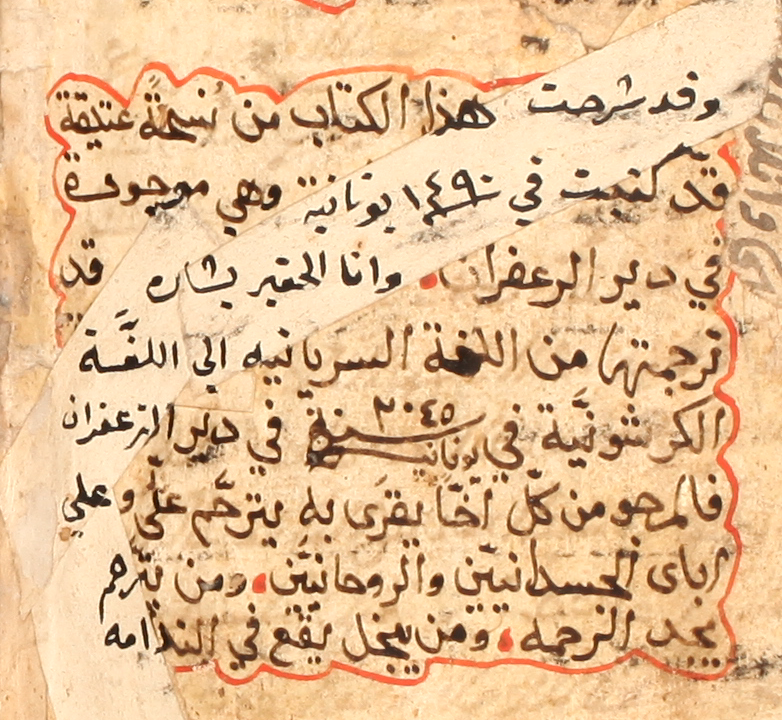 Mingana’s text is based on two Garšūnī manuscripts, perhaps of the sixteenth century (see his pages 96-97). SMMJ 170 is later, and I have yet to determine the relationship of this copy of the text to that which Mingana published, but here is a sample (= Mingana, p. 110, line 7-p. 111, line 3) for those few who might be interested.